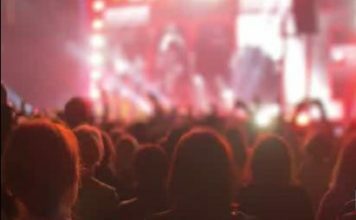 You might say the Minnesota Vikings had a good luck charm at the game on Sunday night when they defeated the New Orleans Saints with a stunning 61-yard touchdown on the last play. And you probably saw that charm in a few of the cutaway shots during the broadcast. CBS Minnesota reports 99-year-old Millie Wall could be seen having a screwdriver at the game with her granddaughter, Ashley. 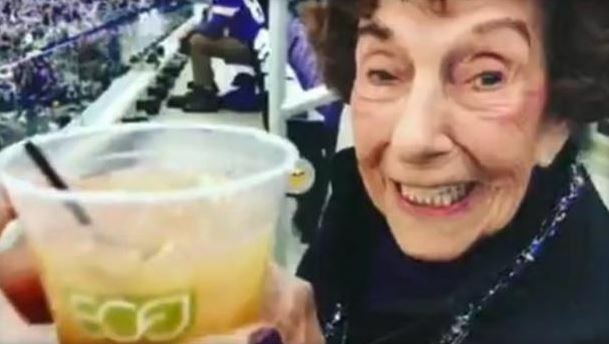 The Vikings had surprised her with a pair of tickets to attend Sunday night’s playoff game in honor of her upcoming 100th birthday. You're never too old to attend your first #Vikings playoff game. Towards the end of the game, NFL Commissioner Roger Goodell took time to visit with her, and gave her two tickets to the Super Bowl. Natalie Ravitz, senior vice president of communications for the NFL, shared photos on Twitter of the pair’s visit in the stands. Wall said that she’s been a Vikings fan for 56 years, but not every year was a joy. In fact, there were years that she considered hopeless. “You just had to bear it,” Wall said reluctantly. During those times, she often threw a foam brick at her TV. “There were years I got up all the time so I thought, ‘Well, this is dumb.’ So now, I put a string on [the brick] so I can retrieve it,” she said.